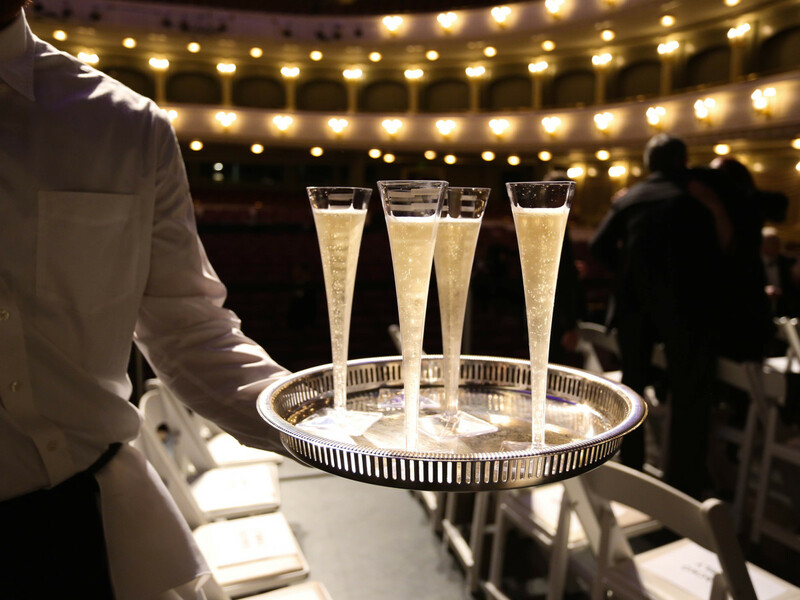 As performing arts organizations and other nonprofits evolve to survive and thrive, so do their fundraisers. 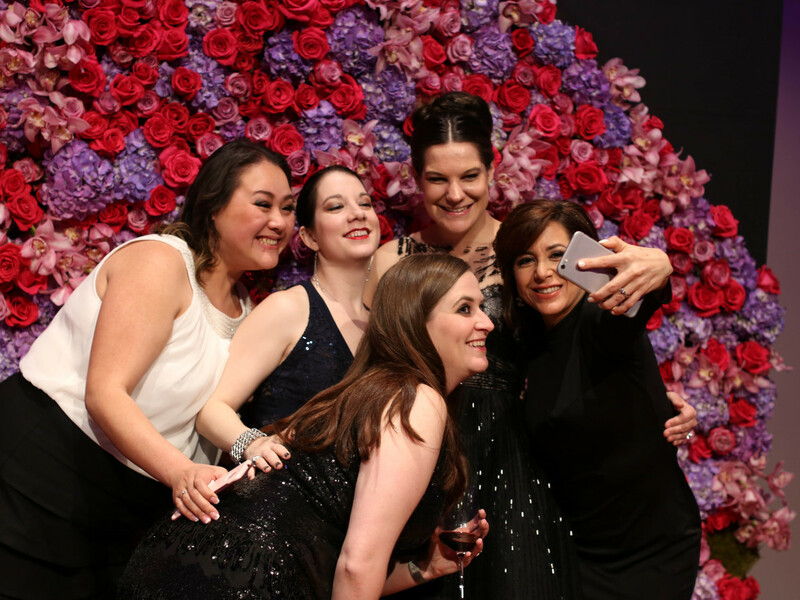 Fading from social diaries are huge hotel-ballroom galas with over-the-top themes, outrageous auction items, casinos, runway fashion shows, and two or three live bands. 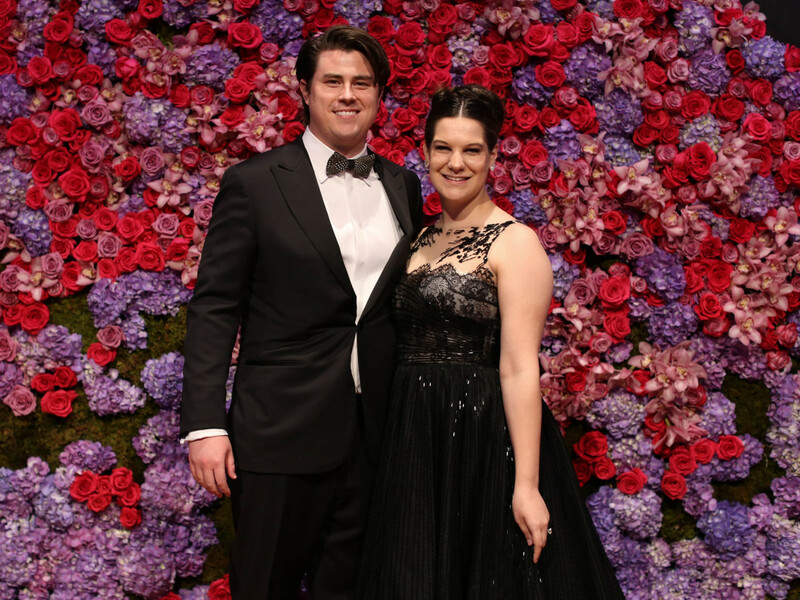 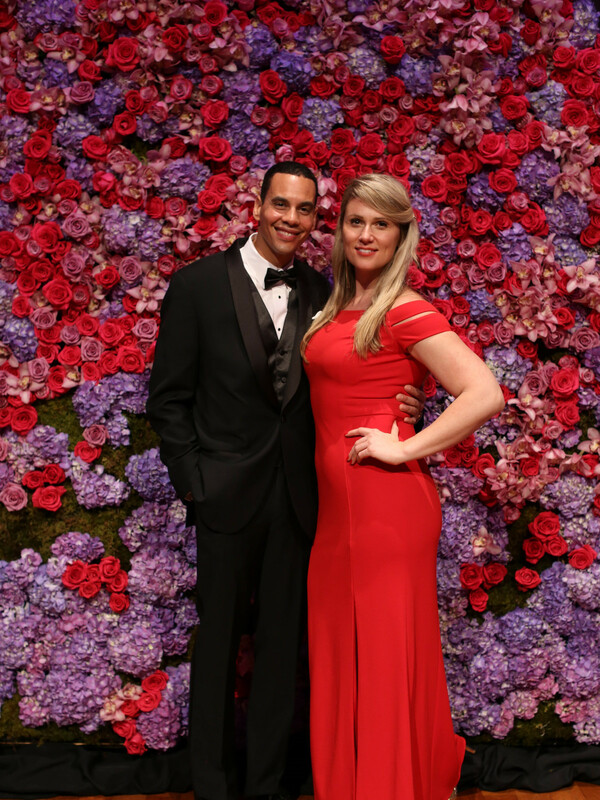 This year's Fort Worth Opera Gala eschewed all of those old side shows to present a more intimate but no less lovely affair that focused on its mission: great musical performances. 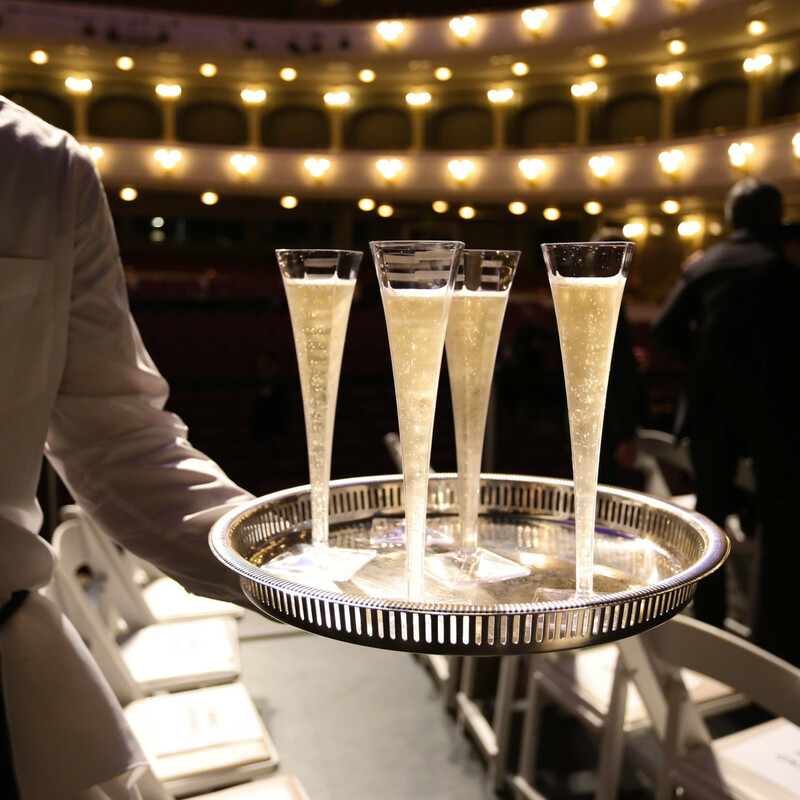 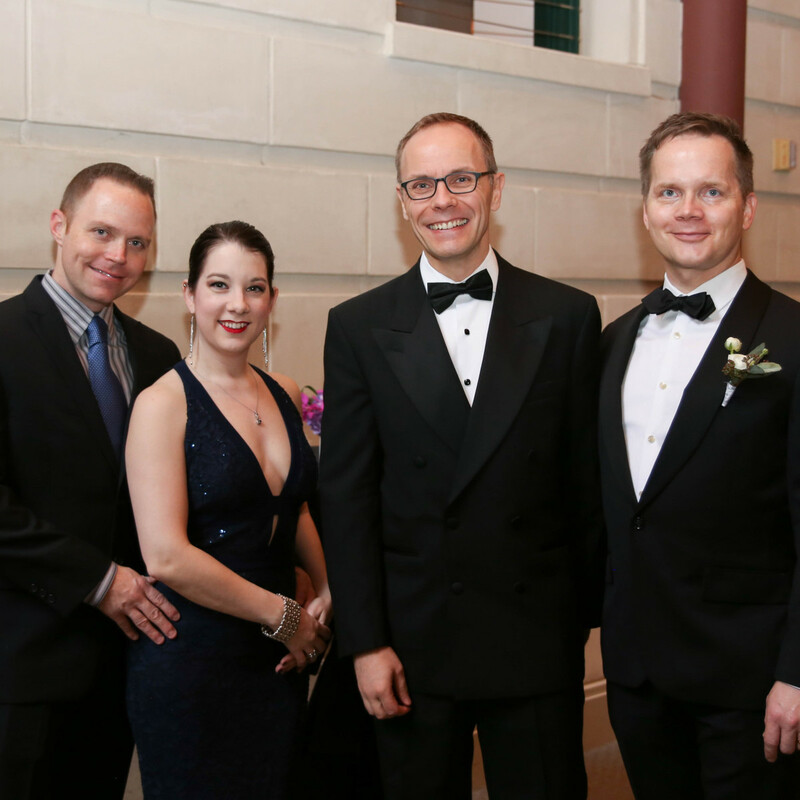 In past years, Opera Ball was the big event that kicked off Fort Worth's fall social season. 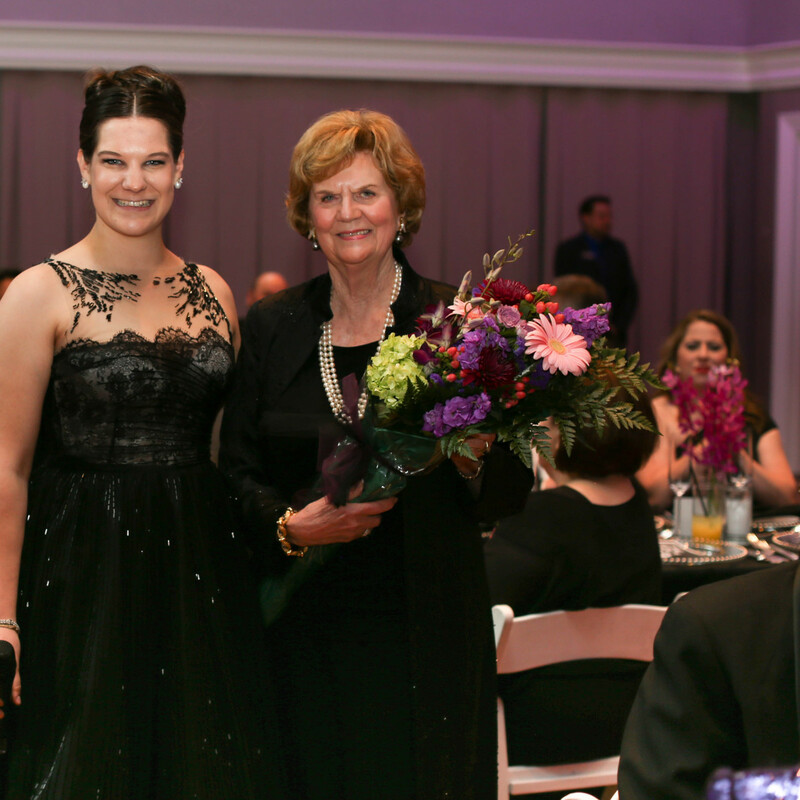 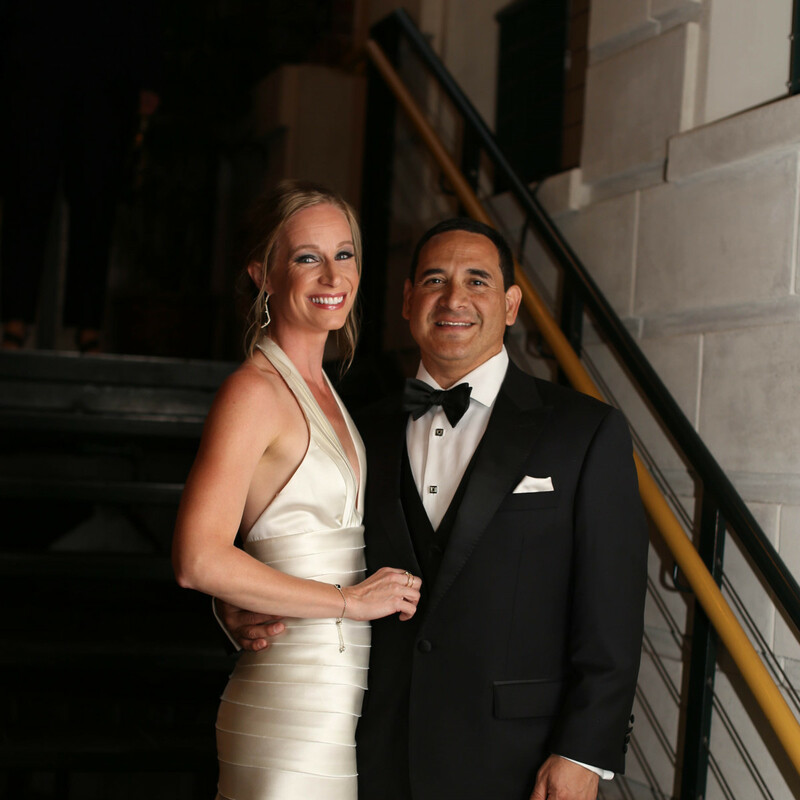 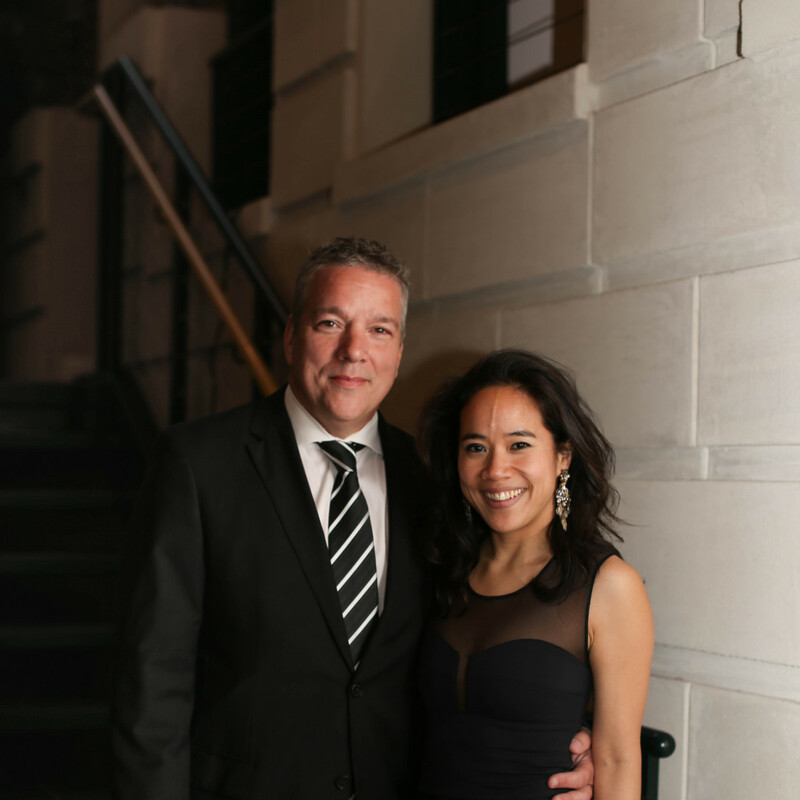 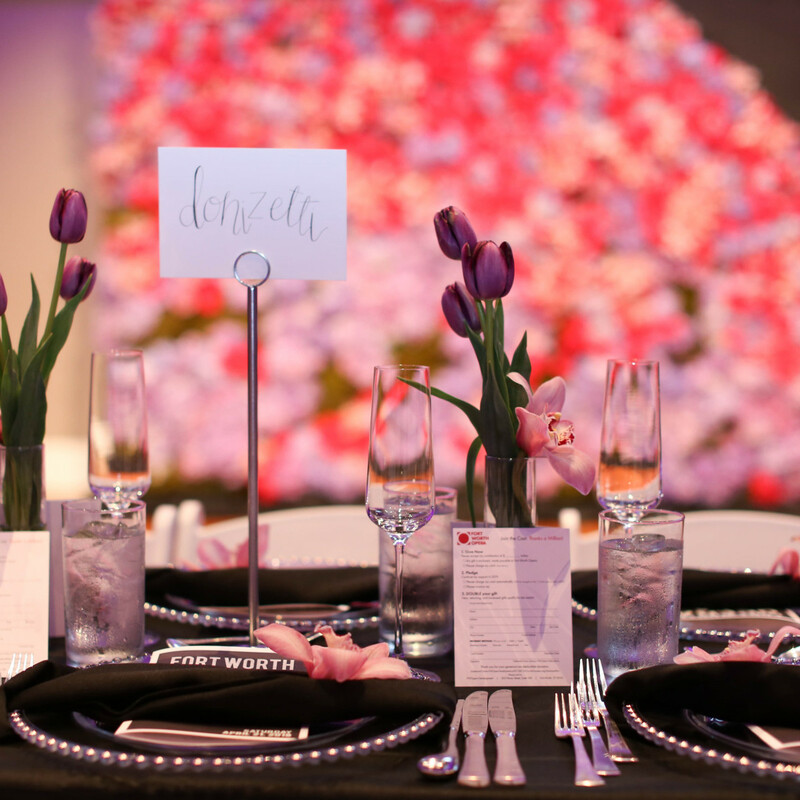 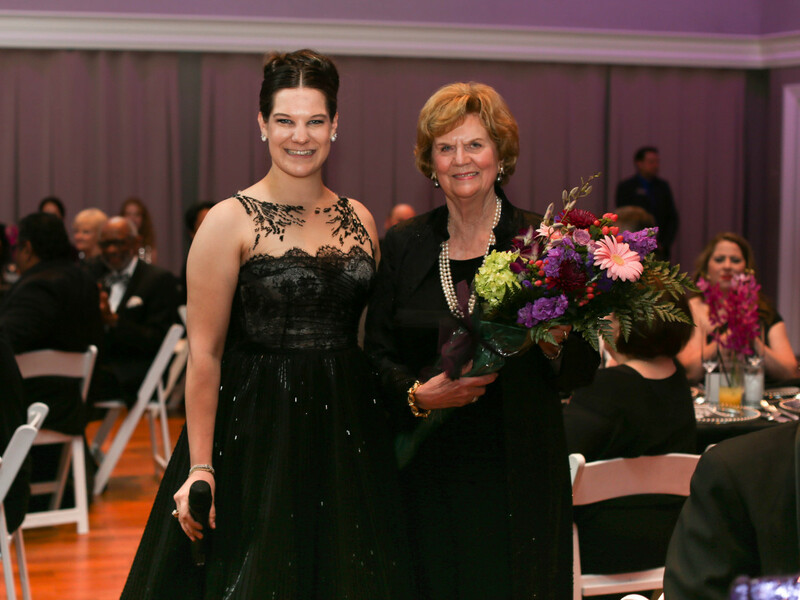 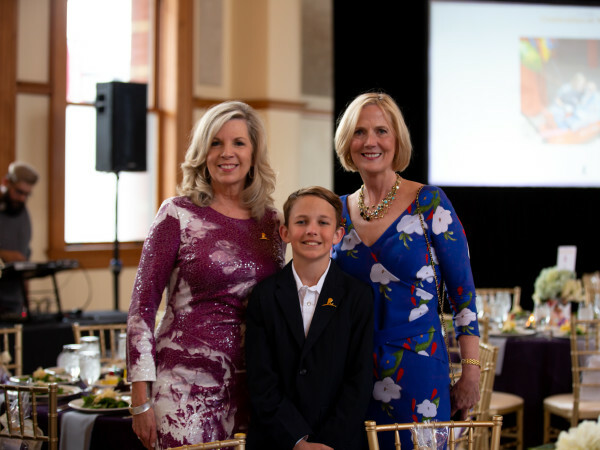 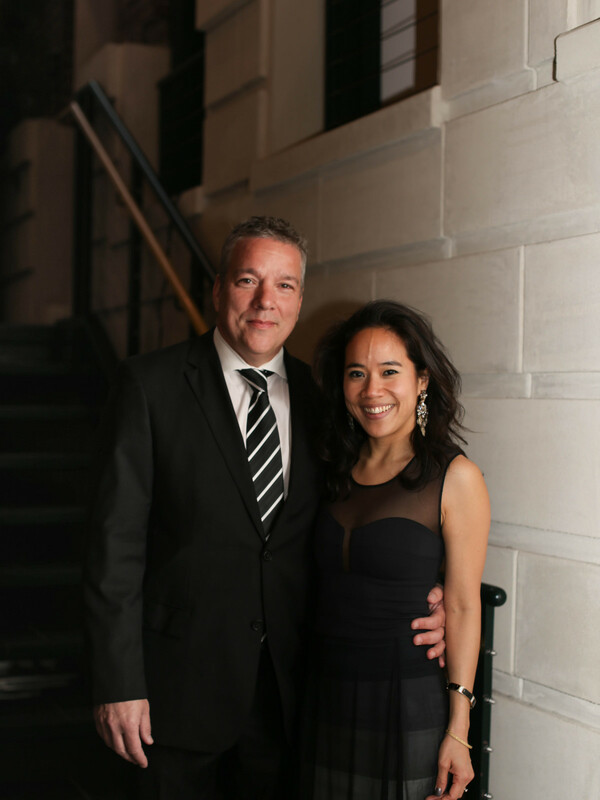 This year's "Black and White Gala," chaired by Megan Ruth Bowdon Wilkinson and Joey Wilkinson and honoring Suzy Williams, was moved to April 21 to coincide with the 2018 Fort Worth Opera Festival. 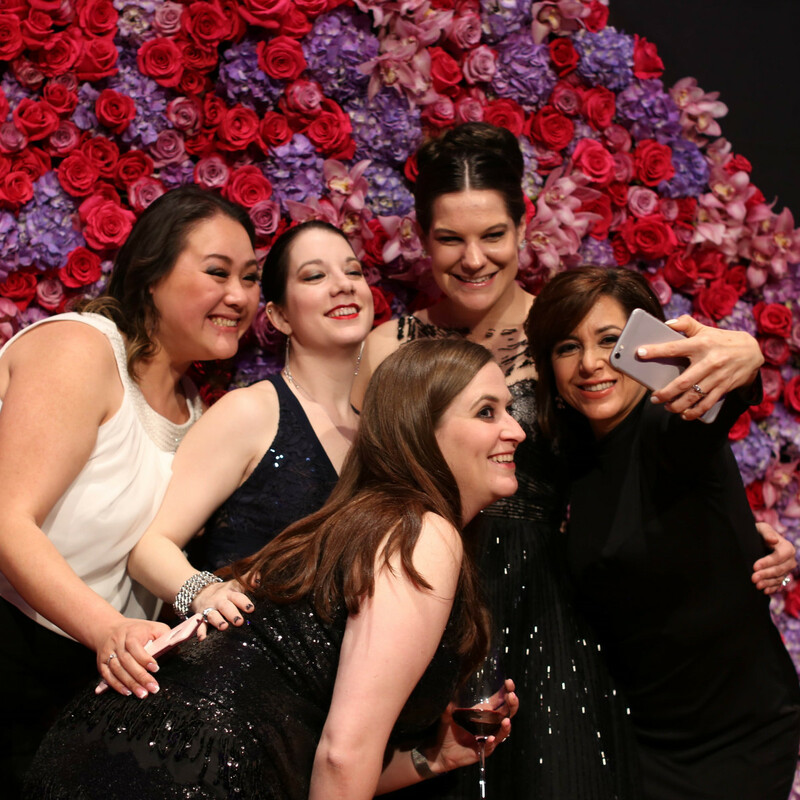 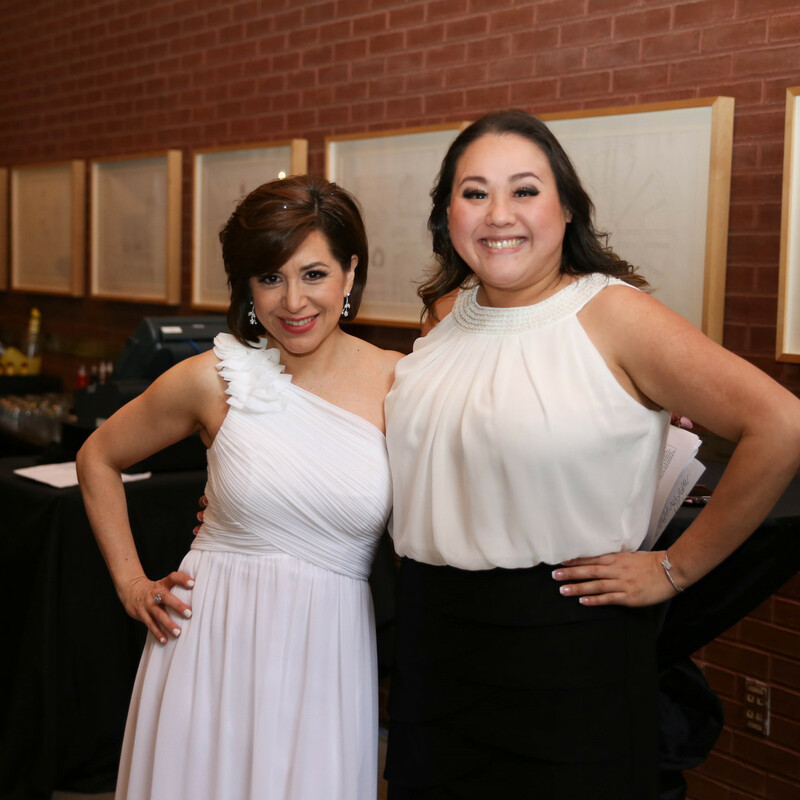 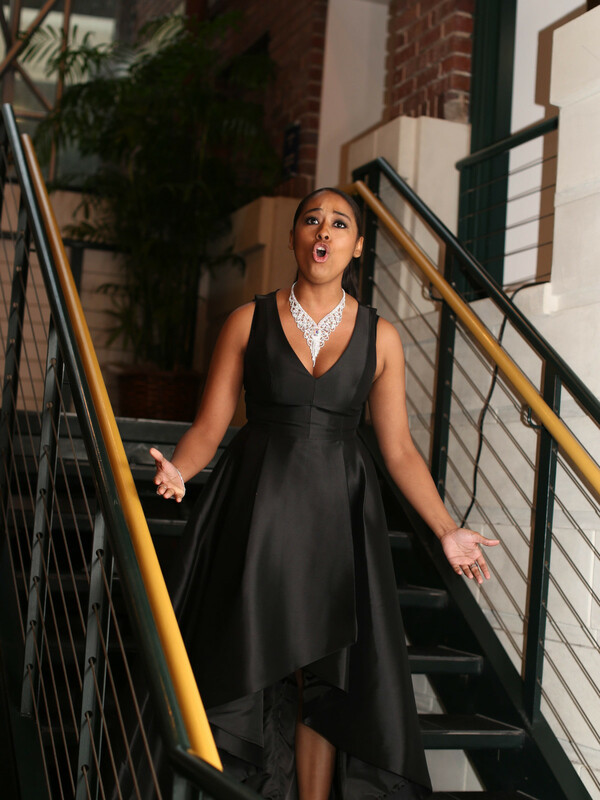 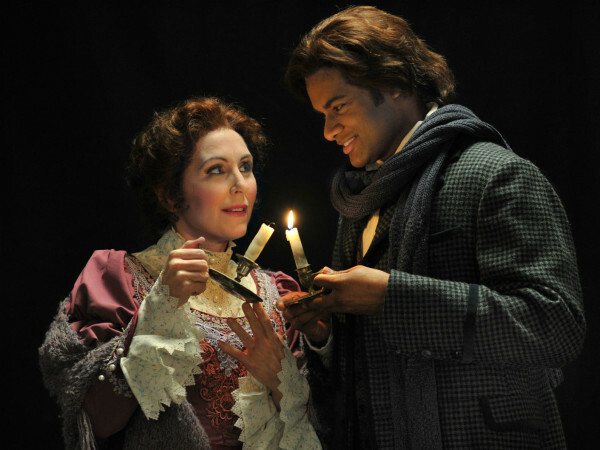 Patrons got the added fun of mingling with the stars of upcoming operas just days before they took the stage. 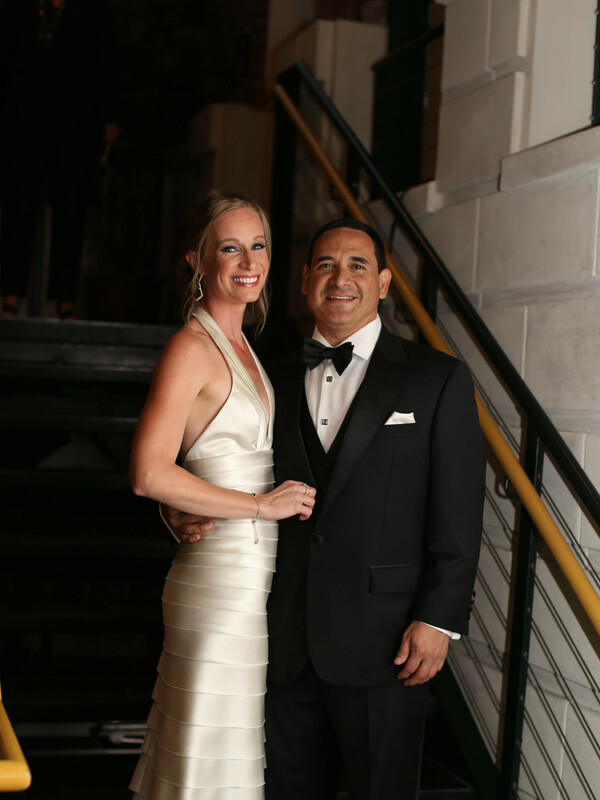 About 140 attendees, donning dapper tuxedos and sleek black or white gowns, gathered in the Maddox-Muse Center in downtown Fort Worth for cocktails — and to escape the spring downpour outside. 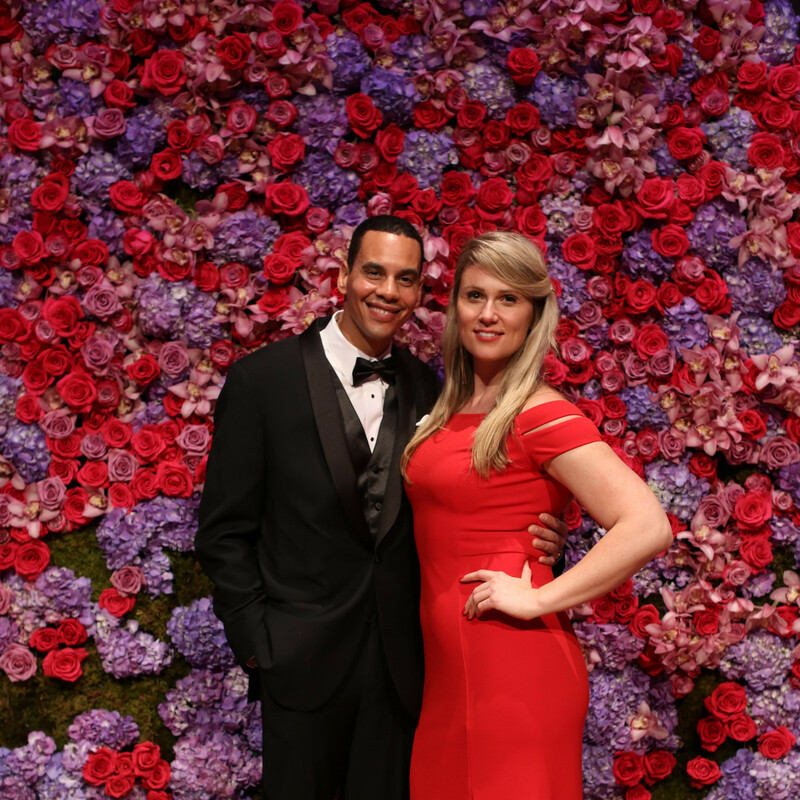 The first of the evening's performances came when baritone Thomas Cannon and soprano Flora Wall sang solos, then came together for the duet "Bess, You is My Woman Now" from Gershwin's Porgy and Bess — a production which will bring the singers back to Fort Worth for the 2019 festival. 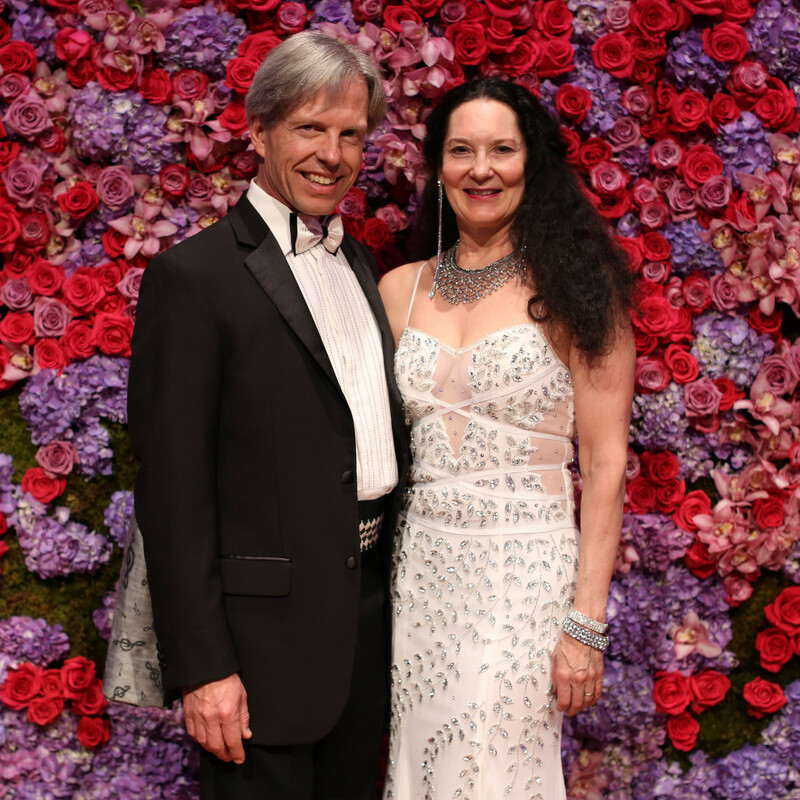 Harpist Naoko Stromberg provided lilting background music as patrons found their seats. 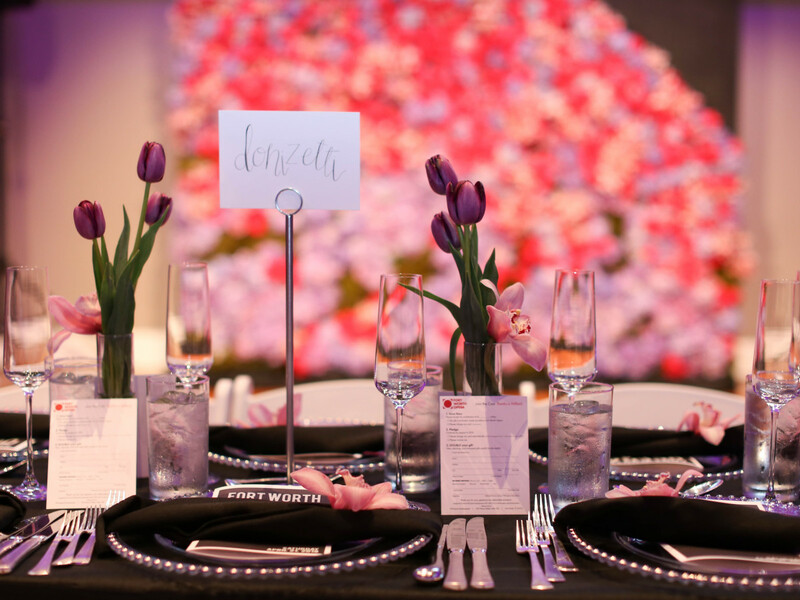 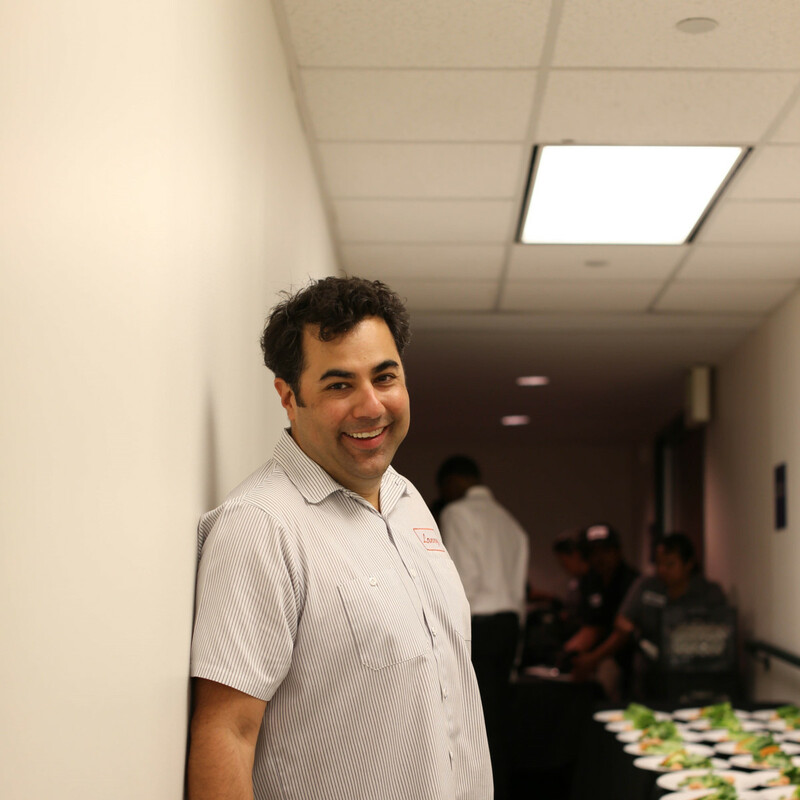 One highlight of the gala had been buzzed about for weeks: a menu created and catered by Fort Worth chef Lanny Lancarte II, owner of Righteous Foods. 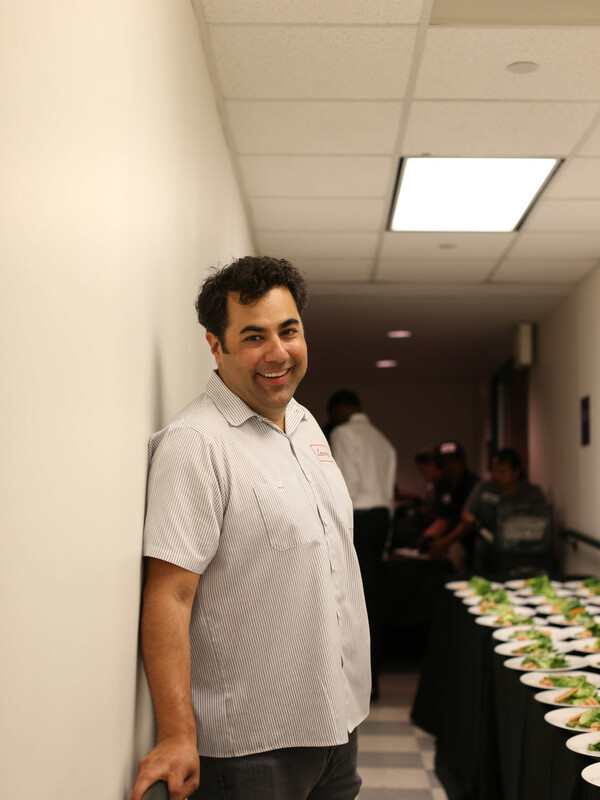 Just two days earlier, Lancarte had been named Fort Worth Chef of the Year at the prestigious CultureMap Tastemaker Awards. 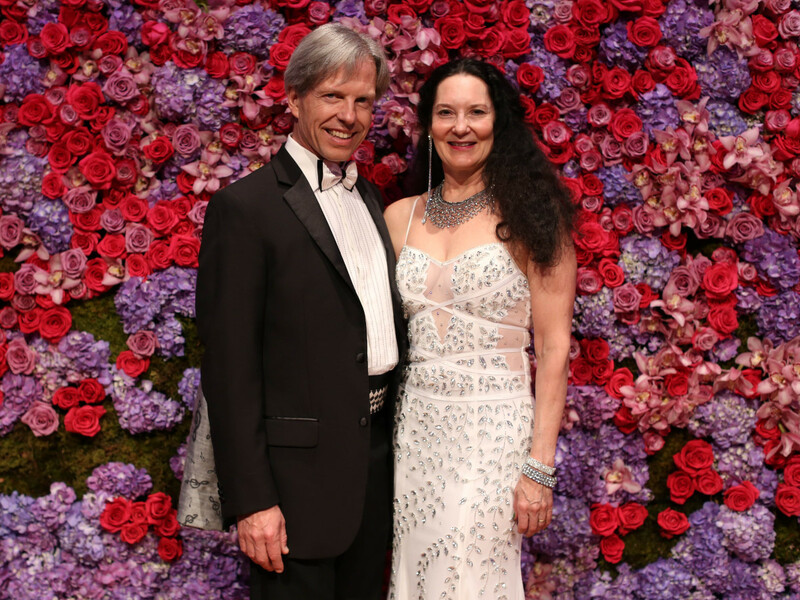 Guests dined on a four-course meal that leaned Argentinian (a nod to the festival's tango opera Maria de Buenos Aires). 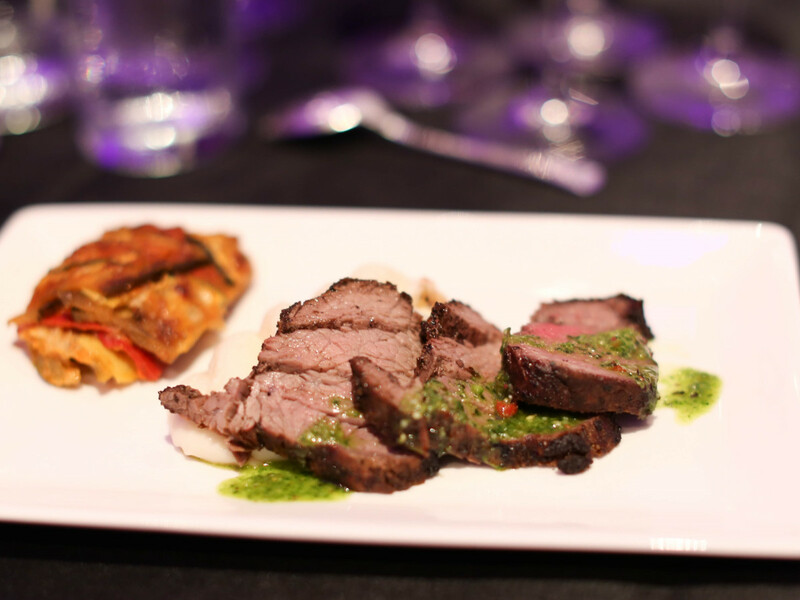 It included a salad of marinated shrimp and avocado dressing; smoked trout cakes; Argentinian oxtail soup; and carne asada with organic herb chimichurri. 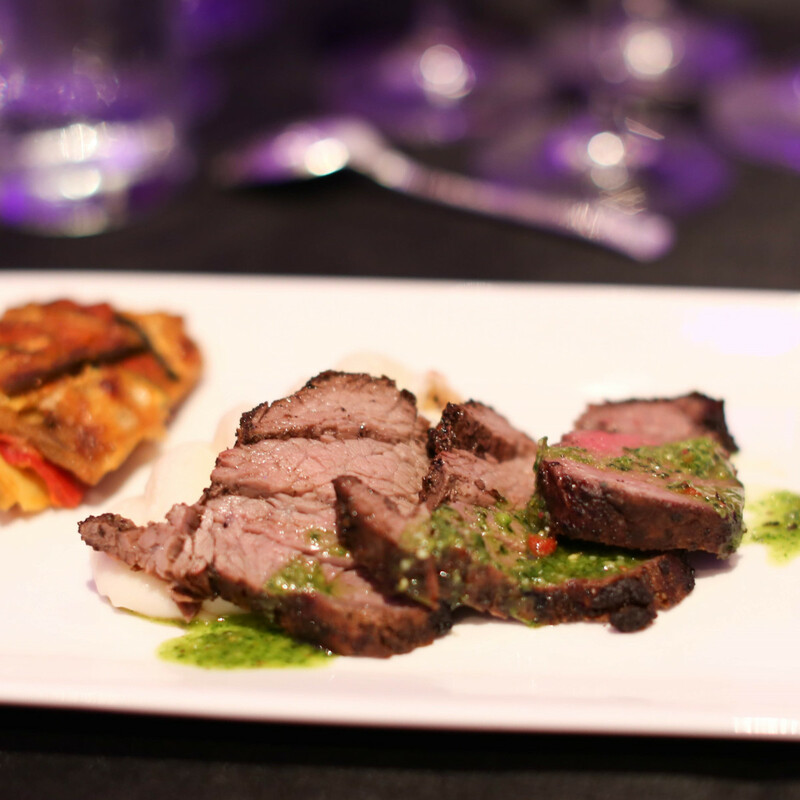 Each course had a special wine paired by J.R. Clark, head of the Central Market Fort Worth wine and beer department. 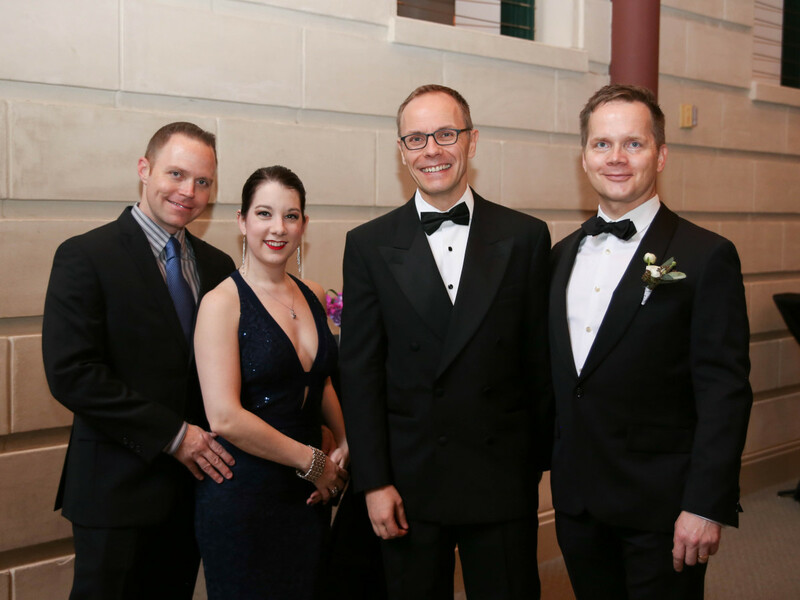 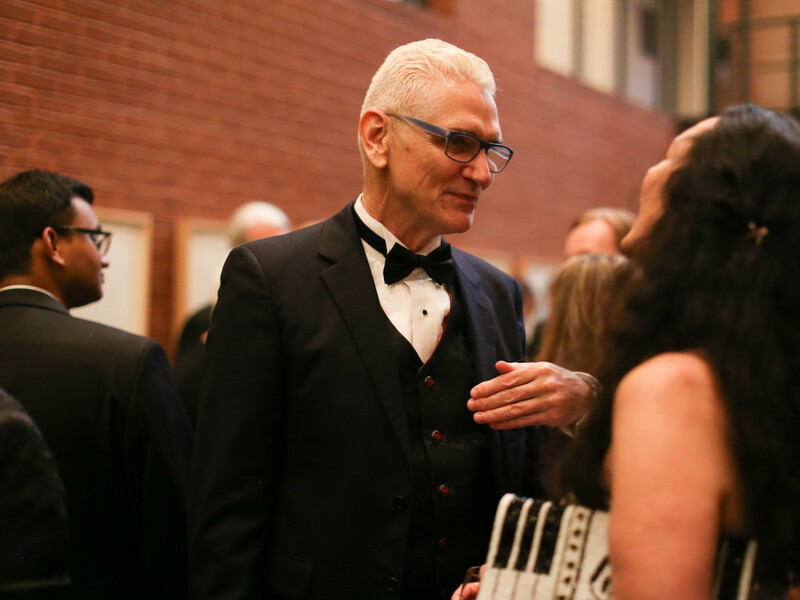 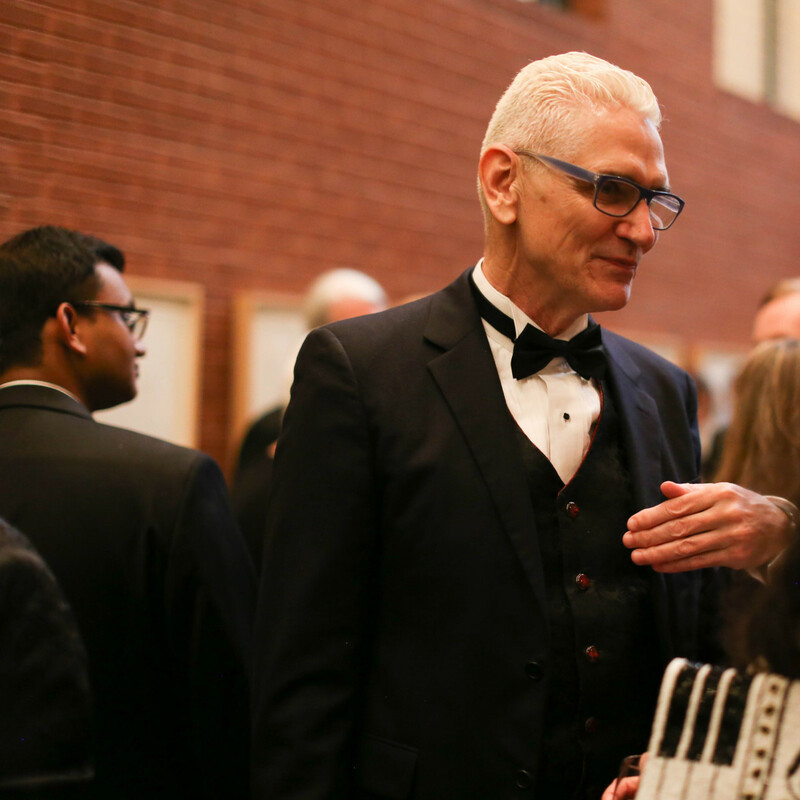 FWO general director Tuomas Hiltunen and board of trustees chairman Mike Martinez thanked the opera's "unsung heroes," including trustee Ed Schollmaier, board president Nelson Claytor, and artistic director Joe Illick. 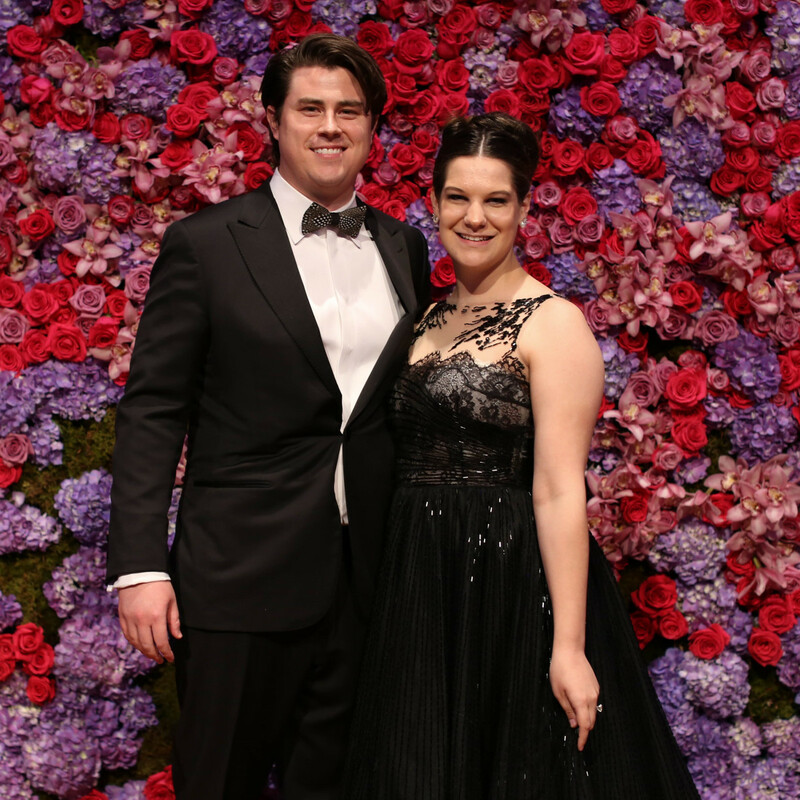 Illick gave a particularly heartfelt opera endorsement, saying, "A generation that grows up with culture is a generation that leads the world in a different way." 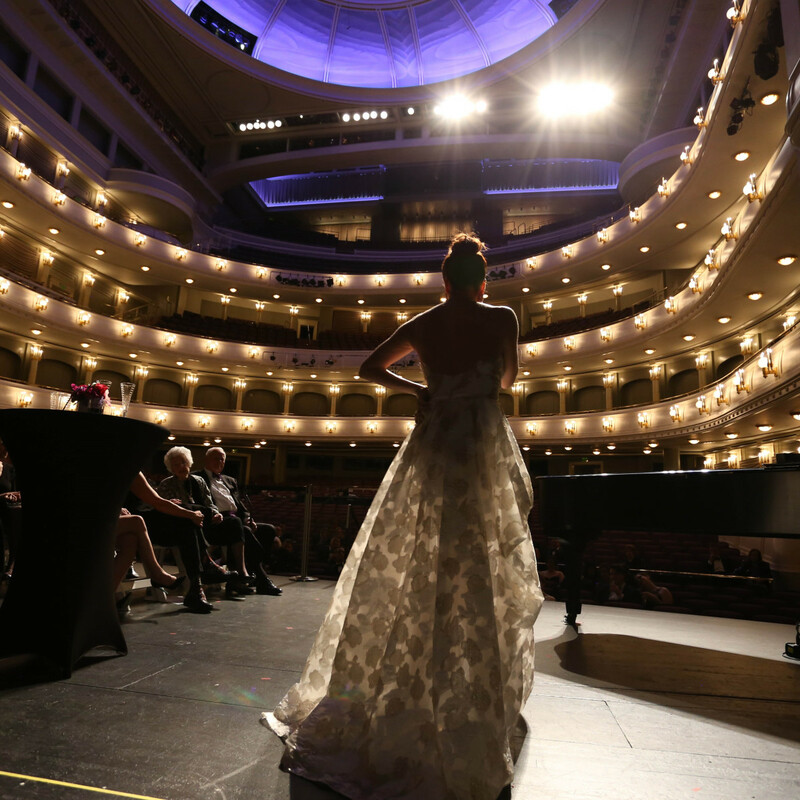 After plates had been cleared, guests got the rare opportunity to cross the street via an underground tunnel to Bass Performance Hall. 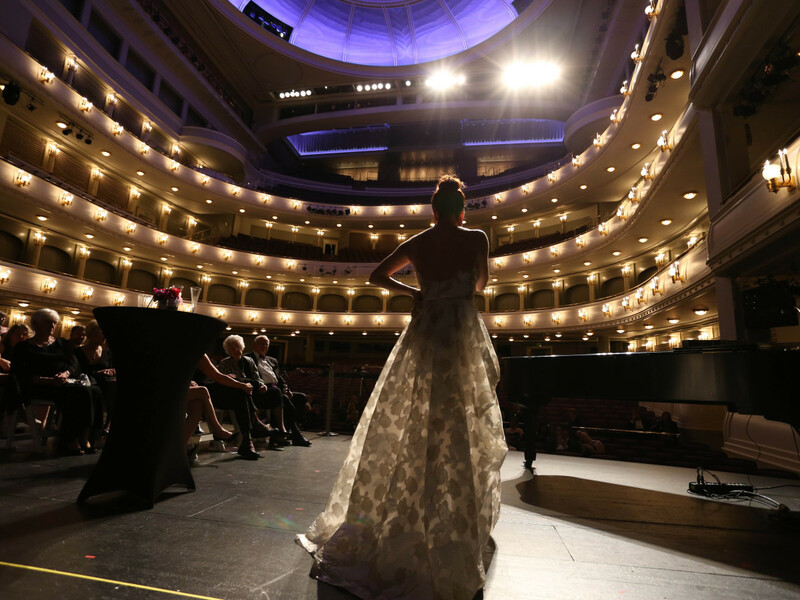 There, they got an equally rare chance to visit on the stage and look out into the audience chamber from a performer's point of view. 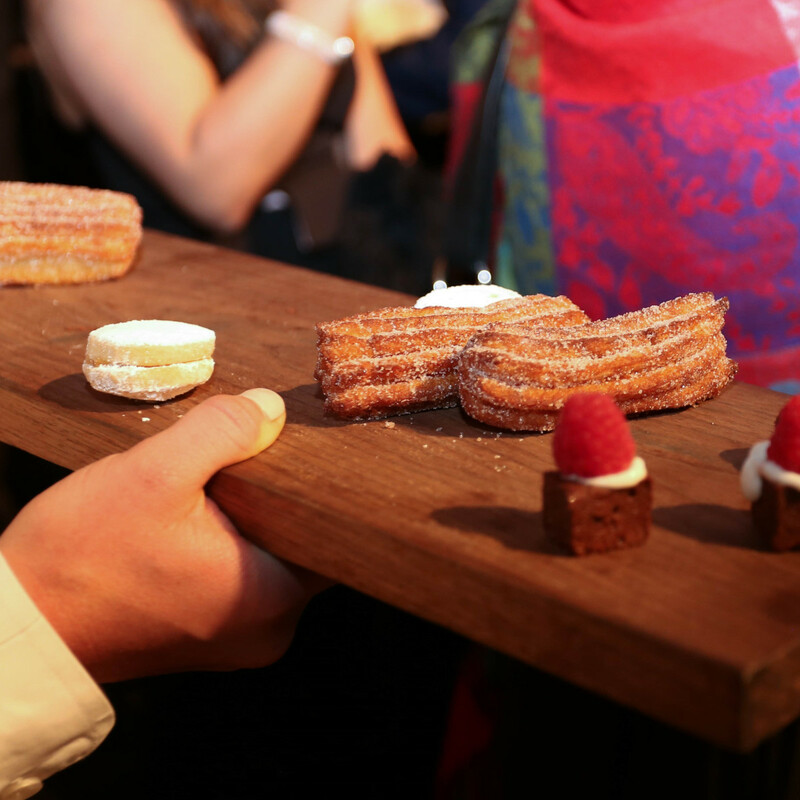 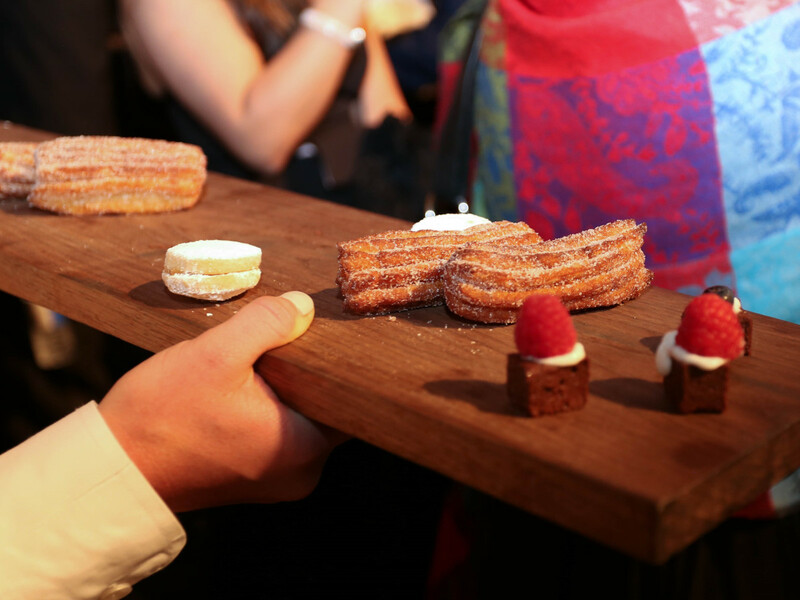 Champagne was passed on trays, as were bite-sized churros, alfajores, and chocolate banana bread nibbles for dessert. 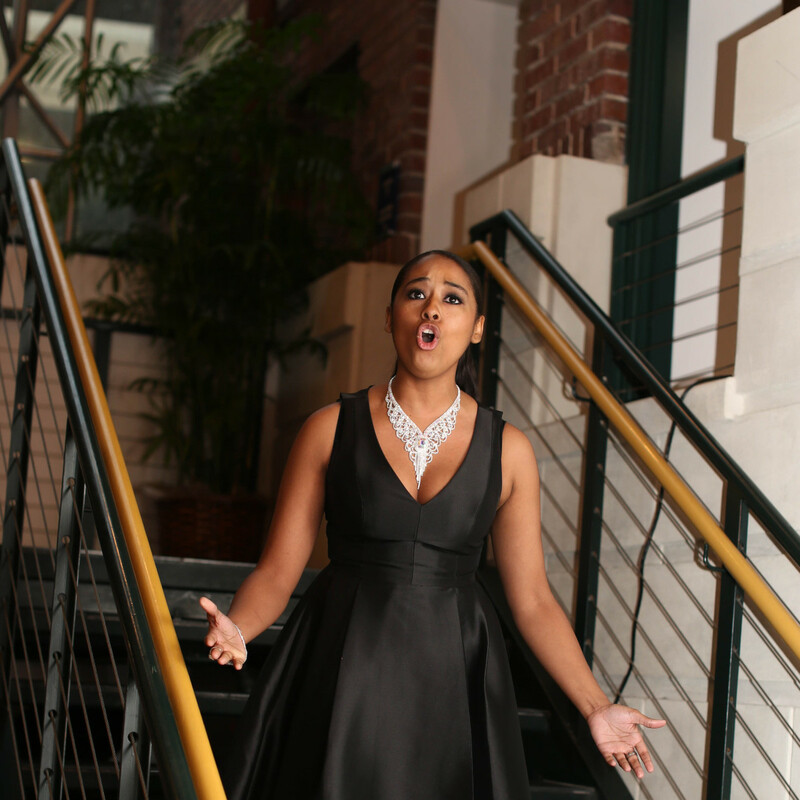 One more special treat was in store: after-dinner performances. 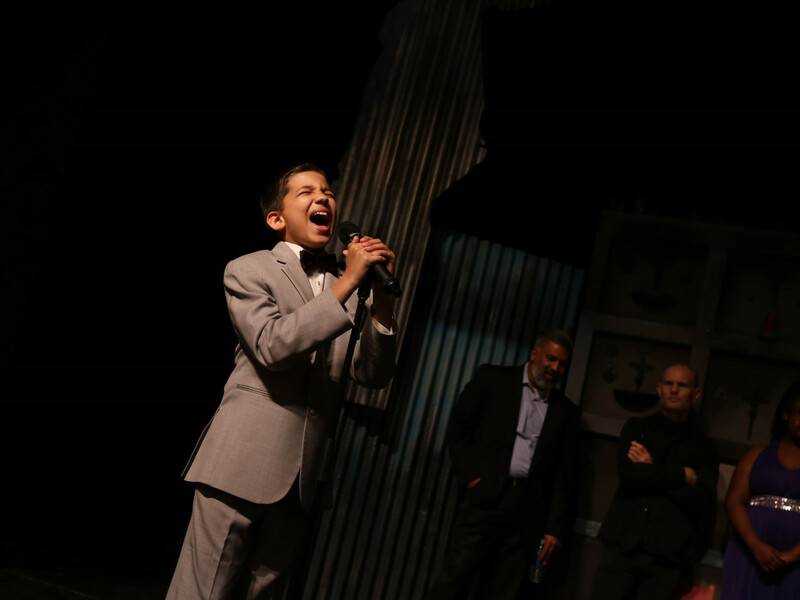 Fort Worth pre-teen Luke Chacko, who became an internet sensation after singing with idol Idina Menzel, sang stirring renditions of "Unforgettable," "Opportunity," and "Over the Rainbow." 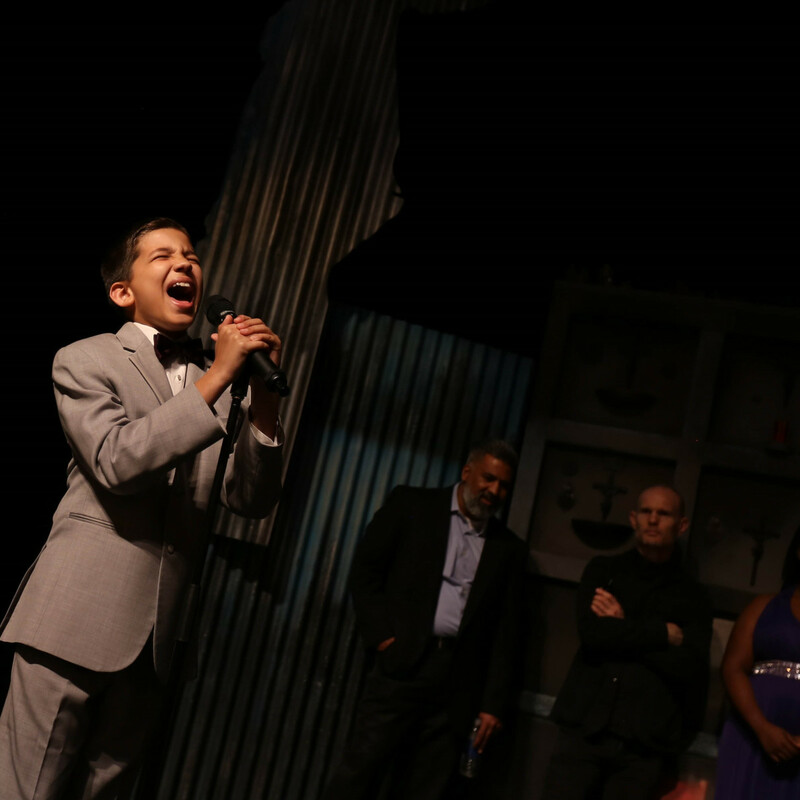 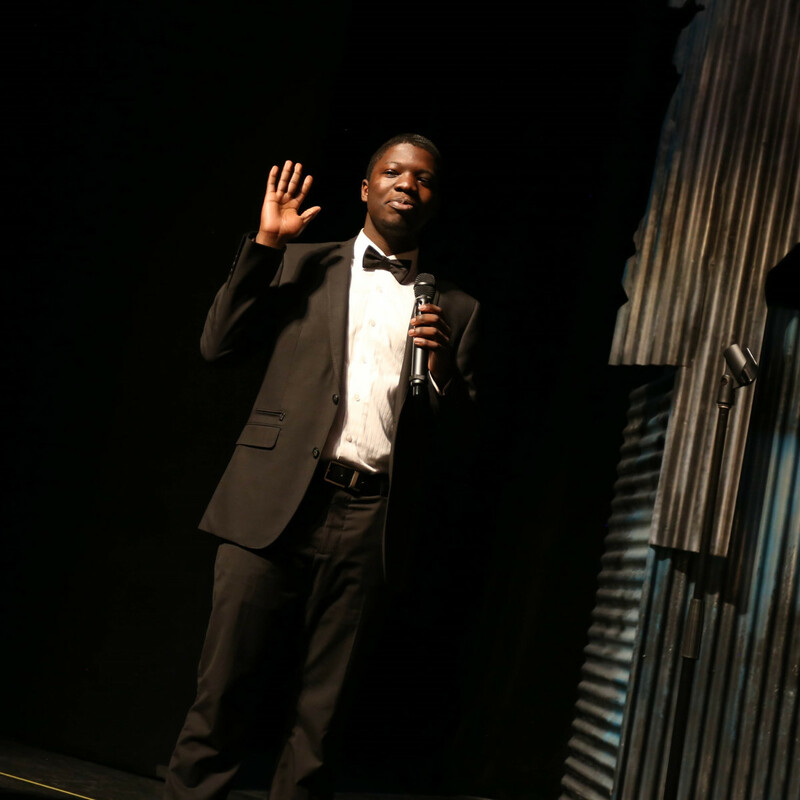 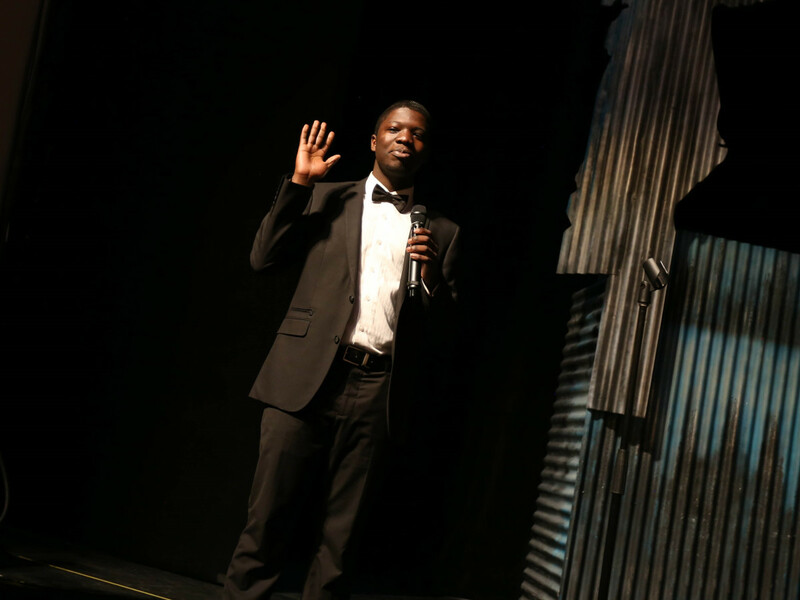 Then young baritone Anthony Anderson — who made national headlines by raising enough money in a single opera performance to pay for a year of college tuition — sang a couple of opera favorites, ending with "The Impossible Dream." 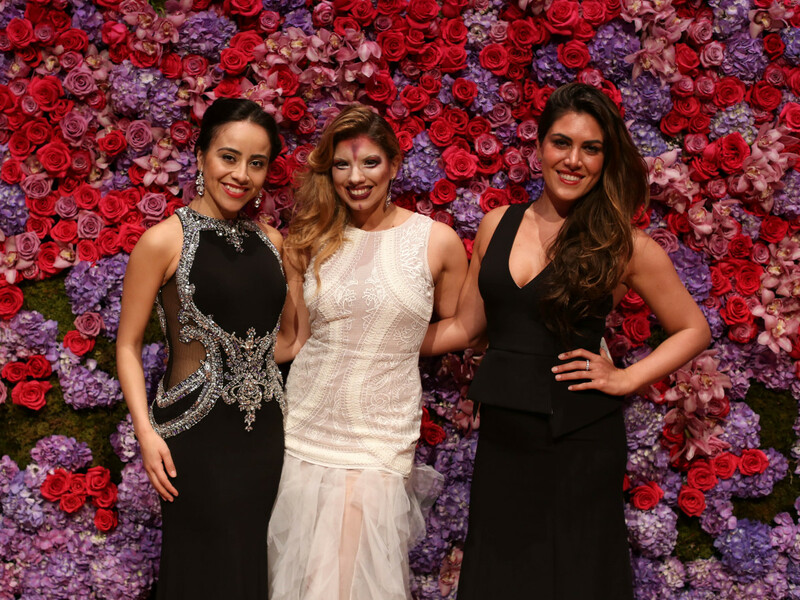 Finally, coloratura soprano Audrey Luna, in a billowing white and gold gown, took the stage to perform arias by Strauss, Debussy, and Bernstein. 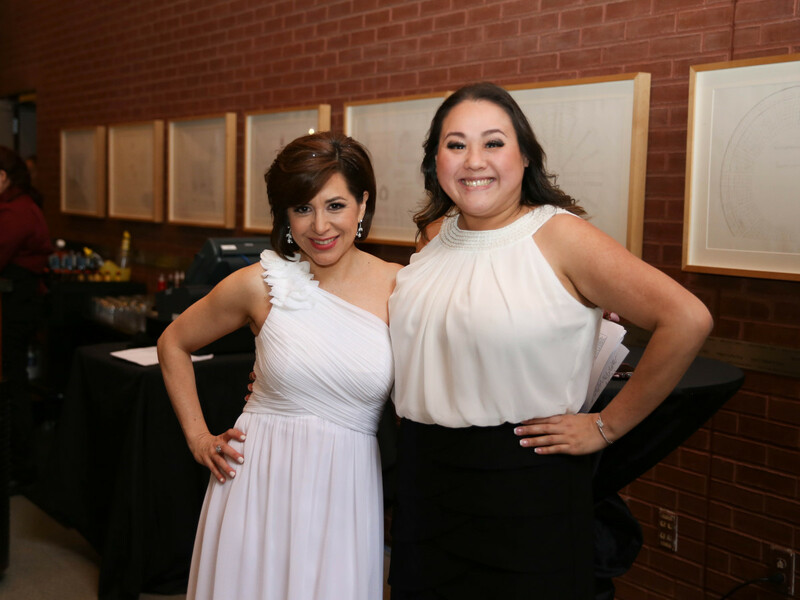 Luna is starring in Fort Worth Opera's Don Pasquale and recently gained fame for singing the highest note ever recorded at the Metropolitan Opera. 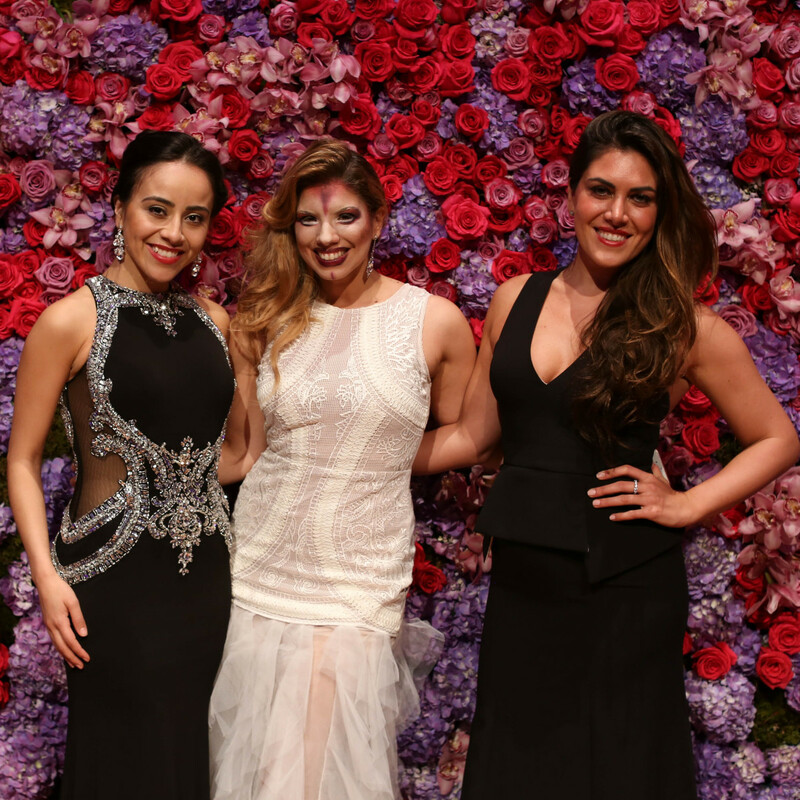 Luna's dramatic and playful performance was a fitting end to an evening filled with high notes.